Welcome to the Cuncolim Educational Society’s College of Arts and Commerce ! The Cuncolim Educational Society was established on 2nd October 1963 with the objective of imparting quality education to the students to foster their development through the knowledge that would make them enlightened citizens in a progressive society. The first move in this direction was the establishment of the Cuncolim United High school in the year 1964. 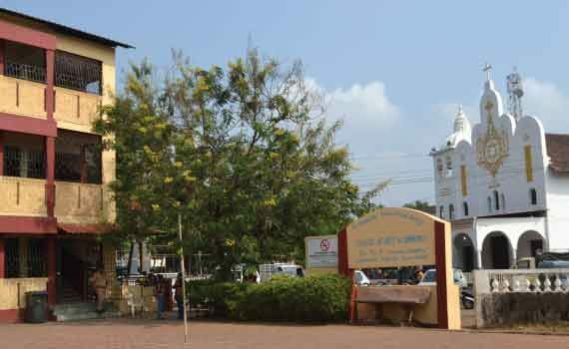 The Cuncolim United Higher Secondary School with Arts and Commerce streams was opened in the year 1981, followed by inclusion of Science Stream in June 1986. The gradual expansion is found with the introduction of Vocational courses in the year 1993. The Cuncolim Educational Society’s College of Arts and Commerce was established in the academic year 1987-88. The College offers Degree course in Bachelor of Arts and Bachelor of Commerce. Today it is one among the premier Educational Institutions in Goa. The CES College saw the light of the day mainly due to the vision, untiring efforts and dynamism of late Adv. Pio F. Lawrence, the Chairman of the Cuncolim Educational Society. Currently, Shri Dilip Desai is serving as an elected Chairman of the Society. It is located in the village of Cuncolim in Salcete Taluka (South Goa District), 13 k. m. away from the Margao Town and 200 meters away from NH17. It is well connected by rail and road transport, thus enabling students to reach college without facing any hardship. The College is permanently affiliated to Goa University and recognized by UGC under section 2(f) 12(b) of the UGC Act 1956. The College is accredited with grade “B” CGPA 2.33. The CES College has got many feats to its credits. The Institution has shown remarkable progress in academics, co-curricular and Extra-curricular activities as well. Large collection of Library books. Additional facilites like Laboratories, Computer centre.